Ormolu - ZineWiki - the history and culture of zines, independent media and the small press. Ormolu was a British fanzine published and primarily written by Ann Green. The first issue was distributed in October 1992, the second in early 1994. 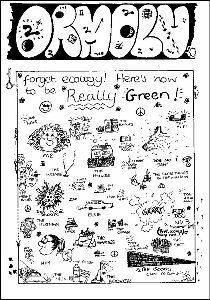 A third issue was planned and prepped for release in late 1994, but never printed. The main article, a report on the 1994 fannish event MiSdemeanour, is finally due to appear in the tenth edition of Peter Weston's Prolapse in 2008. Ansible #92, March 1995; includes a short report on MiSconstrued. This page was last modified on 12 December 2011, at 16:24.